Arnold, Claude Graveley, C.S.B. The Orchestra on Record, 1896 - 1926, An Encyclopedia of Orchestral Recordings Made by the Acoustical Process. Discographies, Number 73, Greenwood Press, Westport Connecticut. 1997. ISBN 0-313-30099-2. 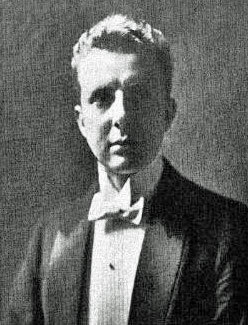 For comprehensive and definitive knowledge of the Stokowski - Philadelphia Orchestra Victor recordings, there cannot be a more authoritative, comprehensive, and reliable source than John R. Bolig in his The Victor Red Seal Discography Volume 1: Single-Sided Series (1903-1925), and The Victor Red Seal Discography Volume 2: Double-Sided Series to 1930. Both of these were published by the excellent discography source Mainspring Press of Denver. These two volumes are treasures of scholarship and of 'archeology' of the early years of recording, both of the acoustic era, and of the early years of electrical recording, pioneered by the Victor label. How grateful we must be to John Bolig and to Allan Sutton of the Mainspring Press for these discographies of great importance and scholarship. Further information is available in what must be the best, most complete, and error-free discography of Stokowski's commercially released disks is available on the internet. This discography, also according to Mr. Riekena, makes use of John Hunt's previous work, described above. Mr. Enno Riekena is another leading Stokowski expert and scholar. This is a carefully prepared and researched work, including corrected names of the works recorded, which may often vary from the title selected by Stokowski or by Victor for the record label, particularly for 78 RPM recordings. Mr. Riekena's discography may be found at his website. Robert M. Stumpf, II, long a leading Stokowski expert and prolific author and discerning commentator has created a Stokowski concert register covering Stokowski's debut with the Colonne Orchestra in Paris in 1909 (where Stokowski was discovered by Cincinnati Symphony Orchestra representatives), through his final Philadelphia concerts of 1940. Mr. Stumpf extensively added to and expanded the work of John Hunt, also using research of Frederick Fellers, with numerous corrections. This valuable concert register is a great and high-quality source of continuing interest. It is a major contribution to our knowledge of Stokowski's career, and being available on the web is a further benefit to research. Agarwal, Rajshree and Gort, Michael. First-Mover Advantage and the Speed of Competitive Entry, 1887-1986. University of Chicago Journal of Law and Economics, vol. XLIV (April 2001) Chicago. 2001. Ardoin, John, editor. The Philadelphia Orchestra, A Century of Music. Temple University Press. Philadelphia. 1999. Blakeman, Edward. Taffanel: Genius of the Flute. Oxford University Press 2005. ISBN-13 978-0-19-517098-6. Bolig, John R. The Victor Black Label Discography 18000-19000 Series. Mainspring Press, LLC. Denver. 2008. ISBN 978-0-9772735-9-1. Bok, Edward William. The Americanization of Edward Bok: The Autobiography of a Dutch Boy 1922. Charles Scribner's sons. 1922. Davis, C.C. and Frayne, J.G. The Westrex Stereo Disk System. Westrex Corporation, Hollywood, CA Proceedings of the IRE October, 1958 Volume: 46, Issue: 10. pages 1686-1693. Dickson, Harry Ellis. "Gentlemen, More Dolce Please !". Beacon Press. Boston. 1974. ISBN 0-8070-5178-0. Ewen, David. Dictators of the Baton. Alliance Book Corporation. Chicago. 1943. Fair, Demetra Baferos. Flutists’ Family Tree: In Search of the American Flute School. Dissertation for Doctor of Musical Arts in the Graduate School of The Ohio State University. 2003. Ohio State University. Franko, Sam. Chords and Discords; Memoires and Musings of an American Musician. Viking Press. New York, New York. 1938. Frank, Mortimer H. Arturo Toscanini - The NBC Years. Amadeus Press. Portland, Oregon. 2002. ISBN 1-57467-069-7. Gerson, Robert A. Music in Philadelphia Theodore Presser Co. Philadelphia. 1940. Heiles, Anne Mischakoff. Mischa Mischakoff, Journeys of a Concertmaster. Harmonie Park Press. Sterling Heights, Michigan. 2006. ISBN 0-89990-131-X. Howe, Mark Antony De Wolfe The Boston Symphony Orchestra: An Historical Sketch. Houghton Mifflin Company. Boston and New York. 1914. Howe, Mark Antony De Wolfe revised by Burk, John N. The Boston Symphony Orchestra. 1881-1931 . Houghton Mifflin Company. 1931. Hubbard, William L., editor. The American History and Encyclopedia of Music Irving Squire Company. New York. 1910. Huneker, James Gibbons. The Philharmonic Society of New York The Philharmonic Society. New York. 1917. Johnson, E. R. Fenimore. His Master's Voice Was Eldridge R. Johnson, A Biography State Media, Inc. Milford, Delaware 1974. > Johnson, Edward. 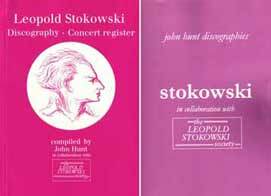 Stokowski: Essays in Analysis of His Art. Triad Press. London. 1973. Kean, Kristen Elizabeth. First Flute: The Pioneering Career of Doriot Anthony Dwyer . Louisiana State University D.M. Monograph. December, 2007. Keim, Friedel. Das grosse Buch der Trompete Instrument, Geschichte, Trompeterlexikon . Schott. Mainz, Germany. September, 2005. ISBN 3-7957-0560-4. Koenigsberg, Allen. The Birth of the Recording Industry Speech presented at the United States Patent Office Bicentennial. Washington, D.C. on May 9, 1990. Lourie, Arthur. Serge Koussevitzky and His Epoch. W.W.Norton. New York. 1929. Lebrecht, Norman. The Maestro Myth: Great Conductors in Pursuit of Power Citadel Press. New Jersey Publishing Group. ISBN 0-8065-2088-4. McGinn, Robert E. Stokowski and the Bell Telephone Laboratories: Collaboration in the Development of High-Fidelity Sound Reproduction. Technology and Culture, volume 24 no 1, January 1983. pp 38-76. Moses, Julian Morton. Collectors' Guide to American Recordings 1895 - 1925. American Record Collectors' Exchange. New York. 1949. Ouvry-Vial, Brigette and Zeisel, Georges L'Orchestre Autrement Revue no 99 Paris Mai, 1998. Peck, Donald. 'The Right Place, The Right Time' Indiana University Press. Bloomington, Indiana. 2007. ISBN-13: 978-0-253-34914-9. Phelan, Jack The Legend of J. Walter Guetter (1895-1937) The Double Reed, Volume 17, no 2 Fall 1994 Idaho Falls, Idaho 1994. Rosenberg, Donald. The Cleveland Orchestra Story. 'Second to None'. Gray & Company. Cleveland. 2000. ISBN 1-886228-24-8. Russell, Charles Edward. The American Orchestra and Theodore Thomas. William Heinemann, Ltd. London. 1927. Scherer, Barrymore Laurence. Program Notes to The Philadelphia Orchestra, The Centennial Collection. Philadelphia Orchestra Association. Philadelphia, 1999. Schneider, David. The San Francisco Symphony. Music, Maestros, and Musicians. Presidio Press. San Francisco. 1983. ISBN 0-89141-296-4. Schwarz, Boris. Great Masters of the Violin. Simon and Schuster. New York. 1983. ISBN 0-671-22598-7. Schonberg, Harold C. The Great Conductors. Simon and Schuster. New York 1969. Secor, H. Winfield. Orthophonic Radio Phonograph Science and Invention. January, 1926, pp 802-803, 875-876. Shanet, Howard. Philharmonic: A History of New York's Orchestra. New York. Doubleday, 1975. Sherman, John K. Music and Maestros: The Story of the Minneapolis Symphony Orchestra. University of Minnesota Press. Minneapolis, Minnesota. 1952. ISBN-13: 978-0816658695. Smith, Rollin. Stokowski and the Organ. Pendragon Press. 2004. ISBN 157647103-9. Smith, William Ander. The Mystery of Leopold Stokowski Fairleigh Dickinson University Press. New Jersey 1990. ISBN-13: 978-0838633625. Snyder, Louis. Boston Symphony and Its World of Players Beacon Press. Boston, Massachusetts. 1979. ISBN 0-8070-665-8. Stern, Isaac and Potok, Chaim. My First 79 Years. Da Capo Press. New York, 2001 ISBN 0-3068-1006-9. Sutton, Allan. Recording the 'Twenties. The Evolution of the American Recording Industry, 1920-29. Mainspring Press. Denver, Colorado 2008. ISBN 978-0-9772735-4-6. Storch, Laila. Marcel Tabuteau "How Do You Expect to Play the Oboe If You Can't Peel a Mushroom?". Indiana University Press. Bloomington. 2008. ISBN-13 978-0-253-34949-1. Taylor, Deems. Walt Disney's Fantasia, with a foreword by Leopold Stokowski. Simon & Schuster New York 1940. Toobin, Jerome. Agitato - A Trek through the Musical Jungle. The Viking Press, New York 1975. Villemin, Stephane. Les Grands Pianistes. Georg Editeur. Geneva. 1999. Wister, Frances Anne Twenty-five years of the Philadelphia Orchestra (1900-25) Edward Stern & Co, Philadelphia 1925. Yancich, Milan. An Orchestra Musician's Odyssey: A View from the Rear . Wind Music, Inc. Rochester, NY. 1995.
in PDF format by Henning Smidth, the excellent Dutch Furtwängler expert, employing rigorous scholarship. Emil Gilels (October 19, 1916 - October 14, 1985) A discography on the DOREMI website, prepared by Professor Ates Tanin, Professor at the University of Toronto, and an expert on the recordings of Emil Gilels, as well as Sviatoslav Richter and others. >Another really excellent web site featuring a Mengelberg discography comes from Japan, whose author I believe to be Mr. Waitoko Wai. I can only wish that I could read Wai-san’s excellent site, given its many features about Mengelberg, it includes a biographical time line (in Japanese). The author also provides an appreciation of symphonies from the classic era to the romantic.